Seoul, April 4, 2019 — South Korea launched the world’s first nationwide 5G mobile networks two days early, its top mobile carriers said today, in a late-night scramble to be the first providers of the super-fast wireless technology. 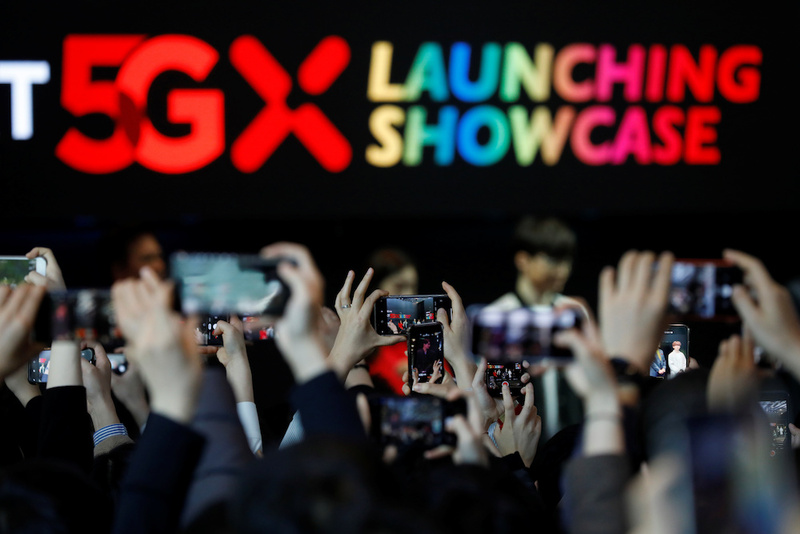 Three top telecom providers — SK Telecom, KT, and LG Uplus — began their 5G services at 11pm local time yesterday, despite previously announcing the launch date would be April 5. In the event, Verizon began rolling out its 5G services in Chicago and Minneapolis yesterday US time, a week ahead of schedule. “SK Telecom today announced that it has activated 5G services for six celebrities representing Korea as of 11pm April 3, 2019,” the country’s biggest mobile operator said in a news release today. For general customers, the services will be available from tomorrow — the previous launch date — when Samsung Electronics rolls out the Galaxy S10 5G, the world’s first available smartphone using the technology. The technology is crucial for the future development of devices such as self-driving vehicles and is expected to bring about US$565 billion in global economic benefits by 2034, according to the London-based Global System for Mobile Communications, an industry alliance.